With all of the 1980s boxed sets that are now in my possession, I've thought a little bit on how to best present them on this blog. 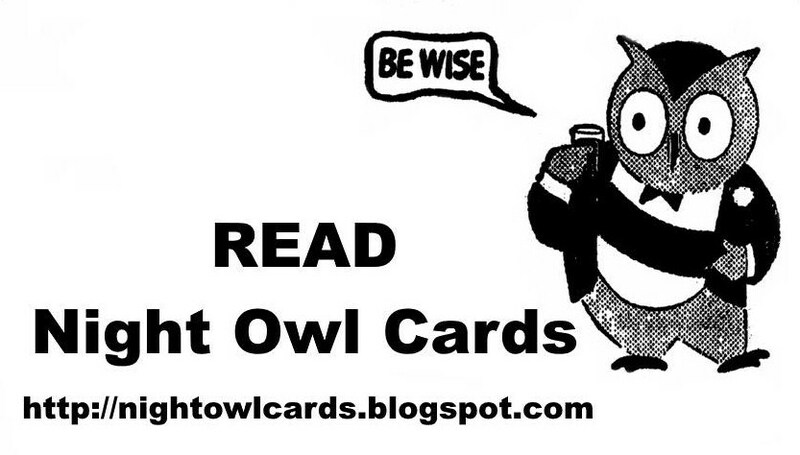 I have a couple of ideas, but they would require me going through all the cards and there's no time for that now. What do I do in the meantime? 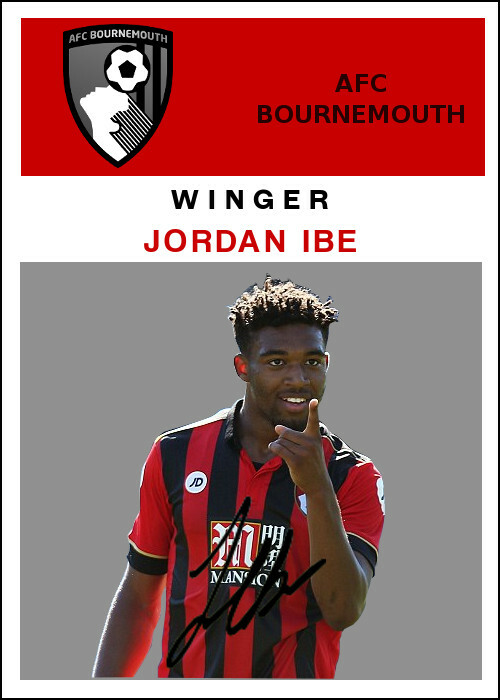 Well, I thought I'd present my "Joy of a team set" series but with a little twist and make it "joy of a boxed set." Today's boxed set is one of my favorites from the ones reader Alan gave me. Love the Drake's. And I love that duck mascot. Why a duck? Did you know the Drake's duck mascot (his name is Webster) was created by a consumer poll in 1981? 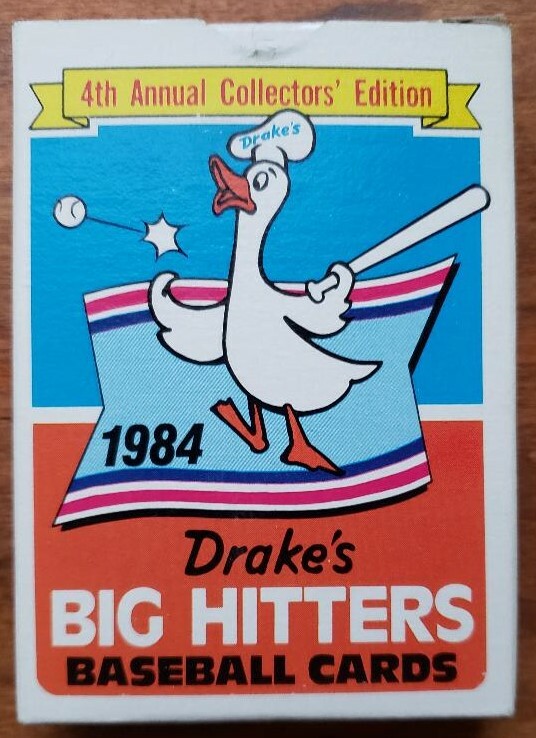 Did you know that was the very first year Drake's Big Hitters baseball card series was released? I now wonder whether the duck was created specifically for the card set. Anyway, this is the 1984 Drake's series and I am without my trusty scanner. So you're going to have to put up with poorly-lit pictures. 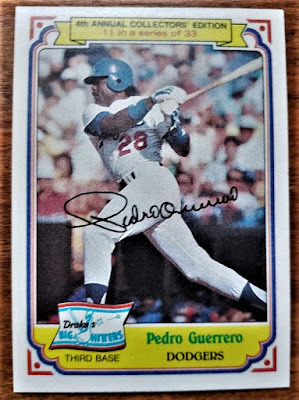 Favorite player in the set: Pedro Guerrero. 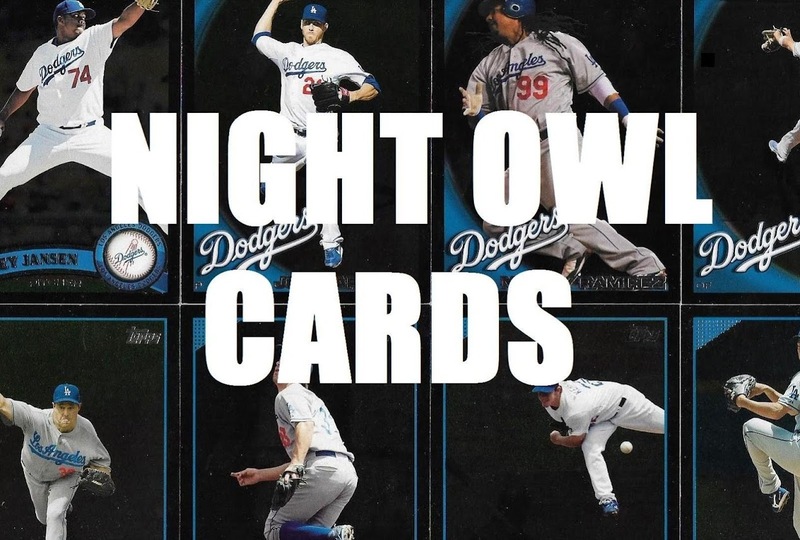 He's the only Dodger in the set. Second-favorite image in the set: Rod Carew. Nobody talks about Carew's batting stance anymore (or his magnificent signature). Players I've talked to: Sadly, none. Players I know who have been in my home county: Bill Buckner, Mookie Wilson, Jim Rice, Wade Boggs. 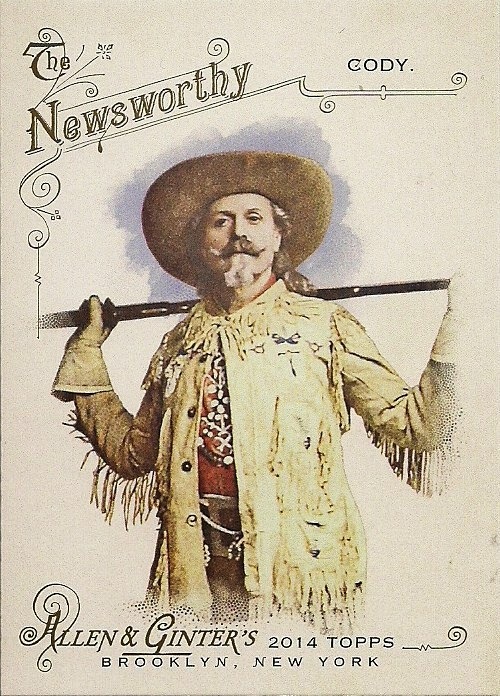 All four were interviewed at one point or another for a story in the newspaper where I work. Cards I received an unexpected thrill pulling: Reggie Jackson and Pete Rose. 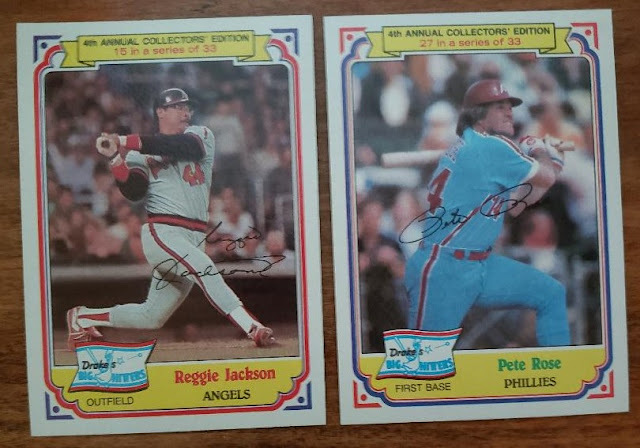 I would not say I was a fan of either one of these players when I was a kid. In fact, I positively despised them. 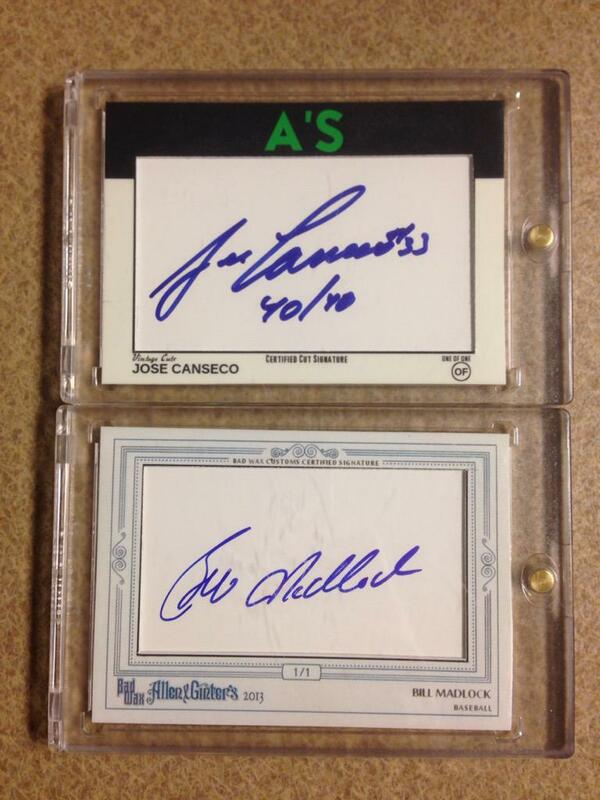 However, there is also no doubt that they were two of the biggest names in baseball during my childhood. 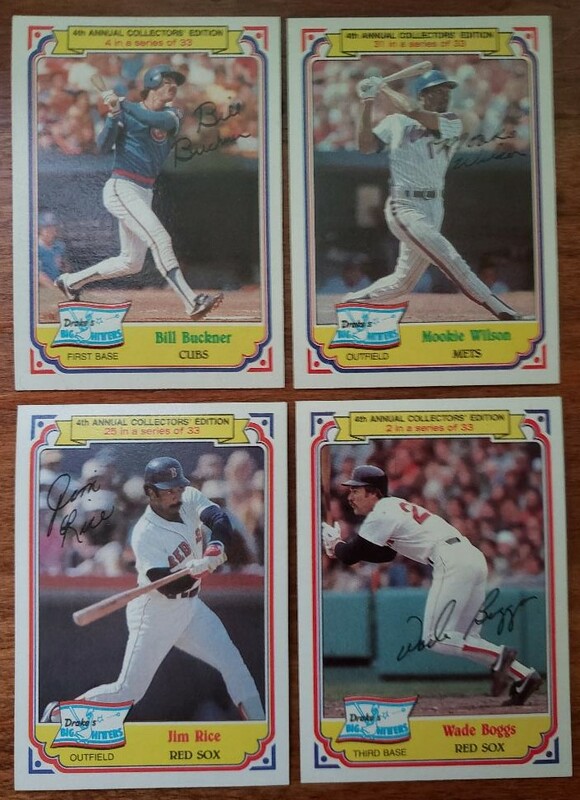 It was always a thrill pulling them and I got that same charge when I opened this box. This is why I open 35-year-old cards! 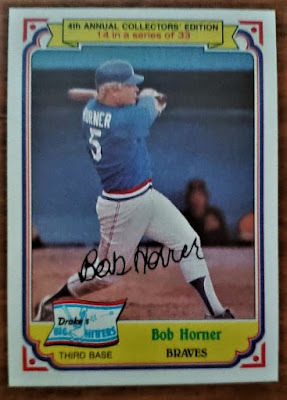 Best display of old-school card feature: The facsimile signature seems more and more an aspect of a bygone era every day. 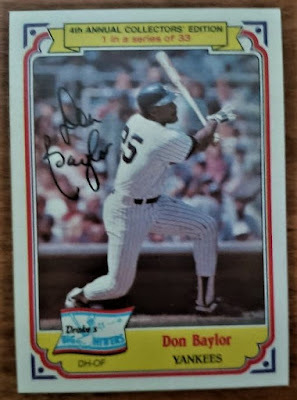 I even thought to myself "hey, yeah, they used to do that" when I spotted the inky display on the left of the Don Baylor card. Best visible sign they built ballplayers different back then: Get a load of Bob Horner. How in the hell did he get around on that? 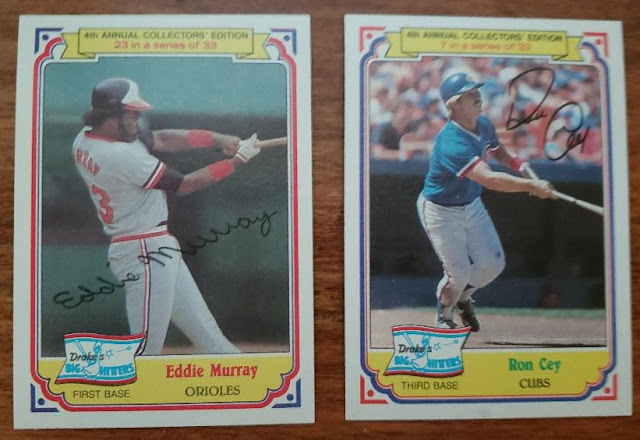 Favorite image in the set/least favorite image in the set: Eddie Murray/Ron Cey. The Murray card is proof that Eddie Murray looked cooler than anyone who ever did baseball. Look at that picture. Everything is perfect. 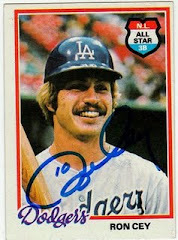 The Ron Cey on the other hand? Shame on Drake's for perpetuating the rumor that Cey ever played for the Cubs. Set's claim to fame: This is the last Drake's set that exclusively included hitters. 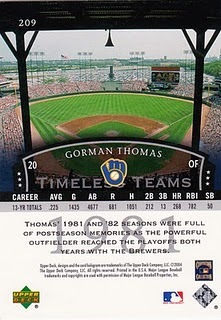 Pitchers were added in 1985. Thank you for joining me for Joy of a Boxed Set. I'll try to replace these photos with scans if I get a chance. 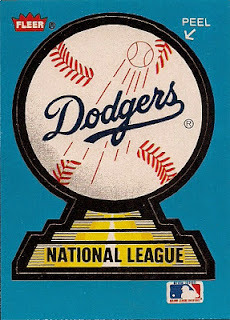 Good looking cards, but I could never warm up to the idea of cards packaged in boxes. 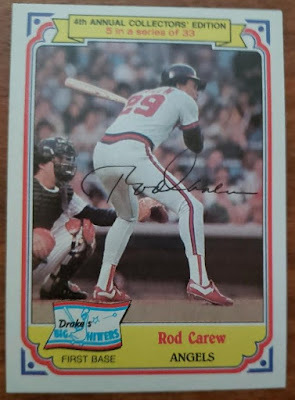 That Carew might be my all-time favorite Drake's card. 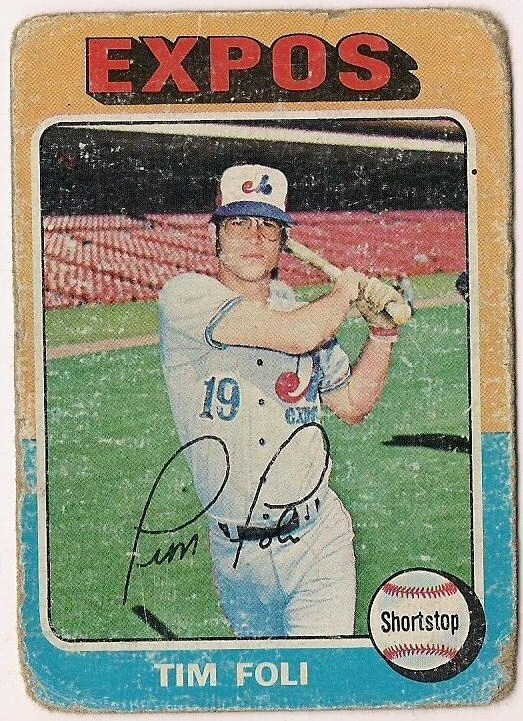 That classic stance didn't get enough airplay on his baseball cards. Love this set. That Murray!!! Funny you should post this today. I noticed a display in the grocery store last night...Drakes Coffee Cakes. 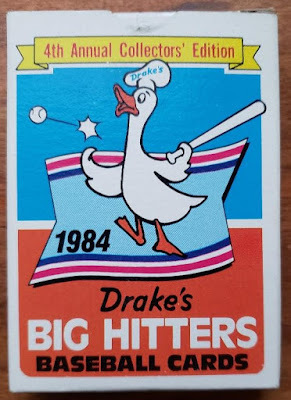 I don't pay much attention to snack cakes nowadays so I was surprised that Drakes is still around. Drakes Yankee Doodles were who our post-paper route reward most afternoons back in the day. They were perfect with our 16 oz RCs. 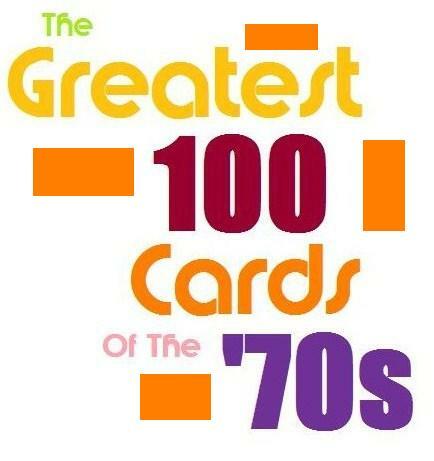 This card set is the one that jumped out at me when you opened the box last weekend. I'm glad you showed it. -bay to find this set very soon. Great set! I just finished putting together a 33-card Kay Bee set through trades. Definitely fun. Also, here's the nerdy statement of the day: A drake is a male duck. The duck mascot alone makes this set a winner. Always thought these were distributed in packages of snacks or something. Had no clue they came in boxes. I think the Jackson and Carew are my two favorites from this lot. Both are beautifully cropped. 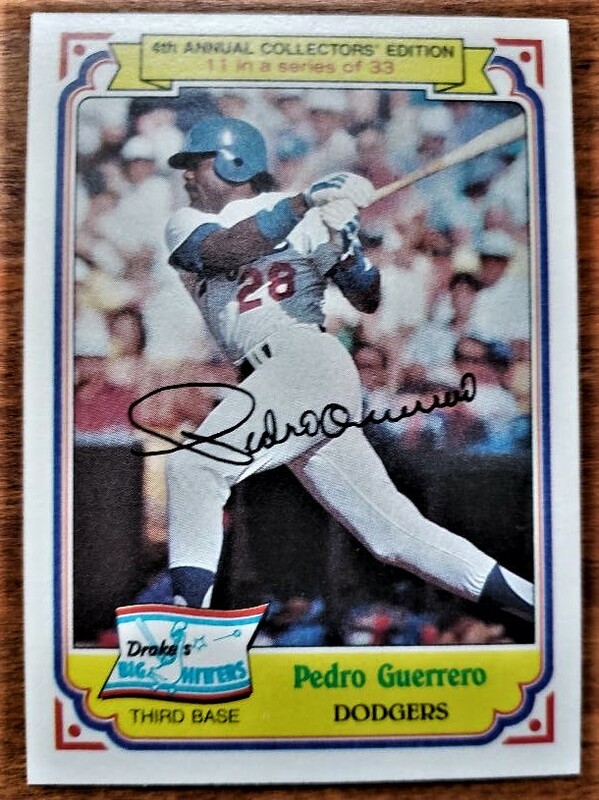 And holy cow... did Reggie have one of the most photogenic swings off all-time or what? I grew up in that era and I never heard of Drake's. 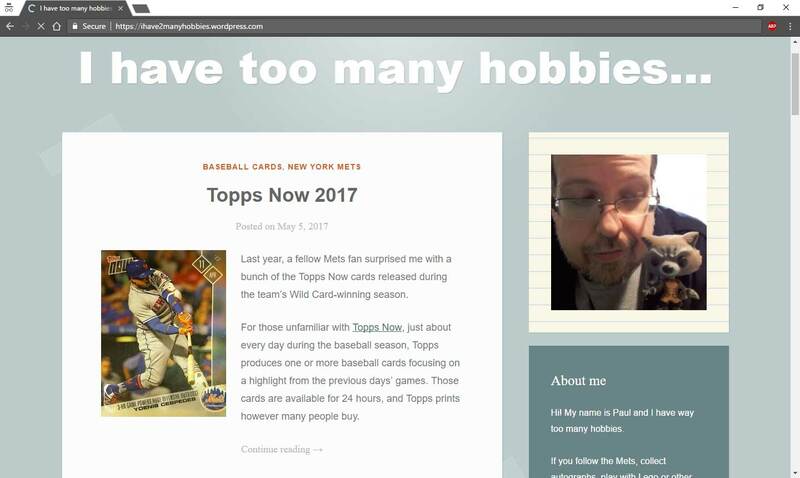 (Outside of the cards I have received over the years) Maybe they are regional. Then again my mom didn't allow much sweets in the house so maybe it was there all along and I just didn't know.